Oh my, is black voter support for President Trump rising? It appears to be the case. Now, it’s not breaking 50 percent. It’ll never be a majority—and that goes for any GOP presidential candidate. But it has reached into the double-digits. And if it hovers around 15-20 percent, that could spell trouble for Democrats. Rasmussen released a survey showing black voter support hitting 36 percent. That’s insane. With black unemployment hitting historic lows under President Trump—it hit an 18-year low overall—I’m sure Democrats sat there, all smug—confident that the needle wouldn’t budge for the president. 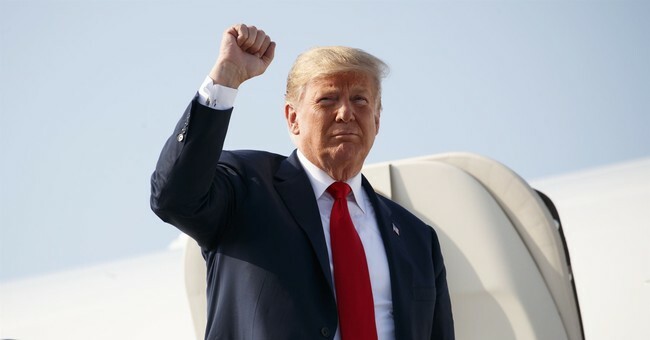 …[A]s cable news networks debate reports of the existence of a recording of President Donald Trump using a racial slur, a new poll from Rasmussen Reports says that the president's approval rating among African-Americans is at 36 percent, nearly double his support at this time last year. So, while it might not be 36 percent, 14-21 percent is a massive improvement from Trump’s meager eight percent draw in the 2016 election.